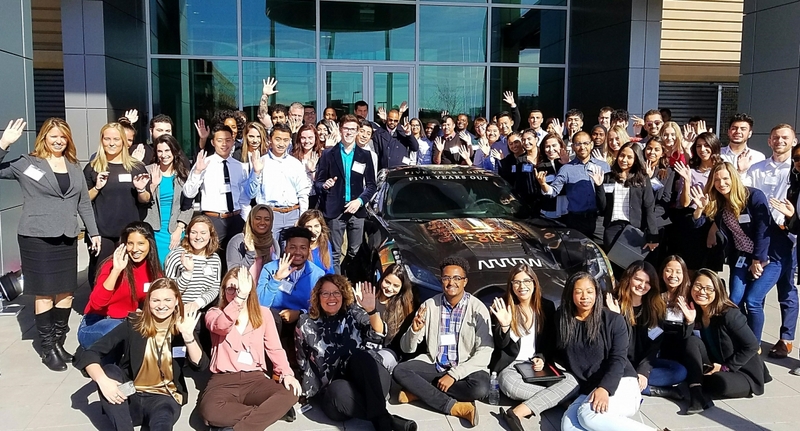 Denver, Colorado – This fall, Arrow Electronics hosted over 50 diverse students from five Colorado universities to learn more about careers at Arrow. These universities included Colorado State University, Metropolitan State University of Denver, University of Colorado Boulder, University of Colorado Denver and the University of Denver. Arrow’s talent pipeline program looks to discover the next generation of builders, designers, engineers and imaginers who will guide innovation forward, and this program was created to foster a diverse pipeline of talent right in Arrow’s backyard. “I was one of the lucky students that got to participate,” said senior Alex Alcala from Metropolitan State University. “I want to thank Arrow for giving me the opportunity to learn from a great group of diverse individuals. The event not only exceeded my expectations, but it also painted a picture of where I would like to work and grow as a person. I believe that place is Arrow." While at Arrow, the students received an overview of the internship program, listened to a diverse leadership panel, attended a networking session with former participants, who are now employees, and participated in a career pathway session.